The Muslim carpet has long been a luxury commodity sought by textile museums, rich collectors and wealthy merchants all over the world. The fame of the flying carpet of 'Al'a Al-Din (Aladdin) added some emotional mystery and value to its already exceptional beauty and tangible quality. It is not surprising that carpets still represent one of the most valuable art items obtained by museums and wealthy families. Furthermore, carpeting is becoming one of the essential ingredients of today's living standard in the modern world. Modern sophisticated manufacturing has made it one of the cheapest available flooring methods, whilst its comfort and warmth has increased its popularity becoming the largest used flooring system replacing the ceramics and mosaics. What are the origins of this tradition? What is the Muslim contribution to the history of the carpet industry? In the following article, a brief account provides a historical background to the appearance and development of Muslim carpet making; then, light is shed on its transfer to the West which gradually set up a western carpeting tradition. A first version of this article was published on www.MuslimHeritage.com in April 2004. The present version was slightly revised and edited, and new illustrations were added. Muslims regard the carpet with special esteem and admiration. For the traditional Bedouin tribes of Arabia, Persia and Anatolia, the carpet was at the centre of their life being used as a tent sheltering them from the sand storms, a floor covering providing great comfort for the household, wall curtains protecting privacy, and useful items such as blankets, bags, and saddles. It was indeed a resourceful inspiration to make use of the abundant wool produced by their herds. With Islam, another significant value was added to the carpet, being a furniture of Paradise mentioned numerous times in the Qur‘an. For example in Chapter 88 (Surah), the carpet is counted as one of the riches the believer will be rewarded in the afterlife. There is considerable material dealing with the history, nature and character of the Muslim carpet. Such material is published under three main themes: the Oriental carpet, the Muslim carpet, or under regional classification such as the Turkish carpet, or the Persian carpet and the like. Historic sources have established that the carpet tradition is a very old custom practised by early civilisations. Recent discoveries (dating from 1949) of a carpet in the tomb of a Scythian prince in Pazyryk in the Altai Mountains (southern Siberia) date back to the 6th century BCE. This carpet, now in the Hermitage Museum in Saint Petersburg, is the oldest extant knotted carpet . From a study of its knotting technique, as well as its decoration, it appeared clearly that the so-called "Pazyryk carpet" had a Persian origin . The next evidence available in the early development of the carpet consists of small 6th-century CE  fragments from Turfan (east Turkestan), on the old silk road, which were discovered between 1904 and 1913. It appears clear from these two evidences that the carpet was first made in the region of what was to become later a substantial part of the Muslim world. The earliest surviving Muslim carpet, however, are fragments found in Al-Fustat (old Cairo). The oldest of these belonged to the 9th century (821 CE), while the remaining were dated to 13th, 14th and 15th centuries . Based on the form of their knots and decorative designs, these fragments were classified into two types. The first group included fragments having a knot similar to a later Spanish knot (knotted onto a single warp) and decorated with geometrical design similar to Spanish (Andalusian) carpets of the 15th century from Alcaraz . Therefore, these were considered to be the first prototype of the later Spanish design. The other category of fragments incorporated stylised animal presentations and were considered to be of Anatolian typology from the 14th and 15th centuries, when animal decorative designs were the fashion. The similarity to the Spanish and Anatolian carpets has made some historians think they were only Fatimid imports. However, the fame gained by the so-called "Cairene carpets" during the 17th century can only refer to the refinement reached by the Fustat carpet tradition. Under the Seljuks, the Muslim carpet reached a high degree of proficiency of technique and high quality of design. Descending from Anatolian origins , the Seljuks brought with them the talent and tradition of carpet making and other arts as they spread their reign to Persia and Baghdad by the 11th century. Ettinghausen , and many others, considered the Seljuks to be the real originators of the Muslim carpet. A study of two specimens of this period, found in museums of Turco-Islamic art in Istanbul and Konya, revealed the characteristics of the Seljuk carpet art. Carpets in the Istanbul Museum belonged to the Ala' al-Din Mosque of Konya, dated back to 13th century when the mosque was first built, and Konya was the capital of the Seljuk of Rum (1081-1302). The carpets of the Konya Museum, however, were originally made for Eshrefoglu Mosque (Eşrefoğlu Camii) at Beyşehir, built in 1298. The carpets incorporated beautiful geometrical designs of stars framed by a band of calligraphy. By the collapse of the Seljuk Caliphate under the invasion of the Mongols, who by 1259 took Persia, Syria and Baghdad, carpet manufacturing seemed to halt for a while. The barbarity of the Mongol attack wiped out any artistic production, inevitably affecting the development of the carpet industry. There are no recorded examples of this period, but historic sources indicate that carpet manufacturing recovered after a short period. The famous traveller Ibn Buttuta (1304-1377), for example, talked of the quality of Anatolian carpets, which he found in the hospice to which he was invited , and in his travels Marco Polo (1254-1324) praised them also . Historic sources talked of the spread of stylised animal designs during this period (14th century) (figure 1). However, the only evidence available is found in some European paintings made by artists of this period, who made contact with some of these carpets. The first painting of Saint Ludovic crowning Robert Angevin made by Simone Martini (circa 1280-1344) in 1317, which is kept at the Capodimonte Museum in Naples, depicted a carpet with geometrical patterns and eagles under the throne. More paintings of carpets having stylised animal motifs were executed, including The Marriage of the Virgin of Nicolo of Buonaccorso  (1348-1388), the Madonna and Child with Saints of Stefano de Giovanni, or that of Anbrogio Lorenzetti Madonna and Child Enthroned with Saints. Figure 1: Anatolian prayer rug from the pre-15th century, showing stylised animal motifs in symmetrical rectangles. (Source). The origins of the depiction of animals have been traced back to the 9th-century Egypt, as excavations at Fustat (old Cairo) have revealed the existence of such designs in Cairene carpets. There is also a Turkish element in these carpets, as shown in these paintings, exhibiting similar traditional knotting techniques . Sometime in the 15th century, carpets with animal motifs ceased to exist but so far no concrete explanation has been established. It might be due to the rise of more religious Ottomans who could have prohibited the depiction of such animals, which depiction is Islamically discouraged. Consequently, a return to abstract geometrical forms took place, signalling the beginning of Ottoman art. The Ottomans gave great impetus to art as reflected in the quality of various works they produced, especially in architecture and textile. Ottoman carpets gradually became renowned for their proficient treatment of plant motifs, in addition to the sophisticated geometrical and colour schemes. Historic evidence gathered from European paintings, produced around the second half of the 15th century, shows the eminence and distinction which the Muslim carpet reached under these leaders. The most famous of these paintings are those of the renowned painters Holbein . These two artists, especially Hans Holbein the Junior, dedicated their paintings to Muslim (Ottoman) carpets that they became named after them the "Holbein carpets". These carpets are characterised by their geometrical design, which consists of a repeated number of squares as the main frame and octagons as the border followed by a band of "S" pattern and calligraphic designs. The arabesque is used in abundance to fill the squares and the rest of the area. In the 17th century, and under the influence of the Persian carpets, the Ottomans adopted a new style consisting of the inclusion of star medallion and prayer niche patterns, features which extended to most Ushak carpets  (figure 2). The design and presentation of these elements varied considerably; in some instances the carpet was dominated by the central medallion, and in others smaller medallions and scrolls were arranged in particular patterns or in a band around the main theme of the centre. It is worth noting that such designs coincided with the appearance of the Baroque and later Rococo art styles which appeared in Europe in the 17th and 18th centuries respectively. These styles, which were based on arabesque forms organised around geometrical frames and medallions, influenced the development of these two art forms. The Baroque, especially in architecture, is highly ornamented with medallions and irregular shapes as the word 'baroque‘ means. Historians admitted its connection with the Muslims, at least in language format, as Baroque came from the Portuguese `Barueco' and Italian `Barocco' which is derived from the Arabic meaning irregular shaped pearl. The Rococo, however, used light and linear rhythms together with natural shapes like shells, corals and ammonites breaking form the formalities of the Baroque style. The Rococo was developed in France at a time when it had strong contacts with the east as explained earlier under the reign of Louis XIV, a time when the Turqueries and Turkish themes were highly appreciated in France. 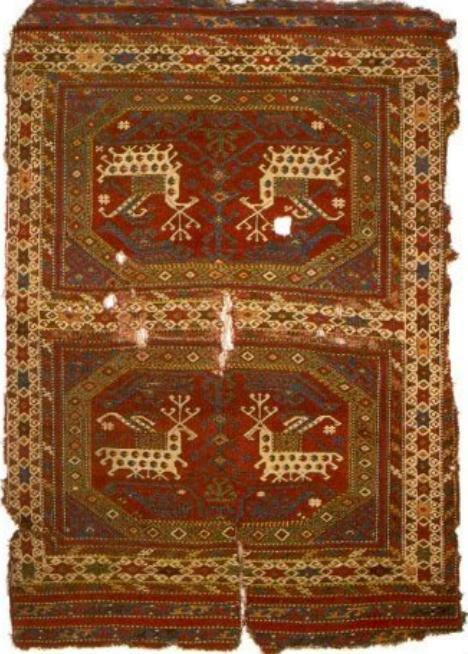 Figure 2: A star-Ushak carpet from west-central Anatolia, dated to the late 16th century. (Source). The niche carpets were mainly rugs destined for Muslim prayers, which explains the inclusion of the directional niche (mihrab) in their centre sometimes with a pendulum of light hanging from its arch. This development is a clear sign that the Muslim artist develops his themes from religious as well as natural sources. The use of the mihrab and the lantern in the carpet was highly symbolic, it reflected the part of the mosque which locates the direction of the holy Ka'aba as well as translating the Divine meaning of the niche as defined in Chapter 24, Verse 35 of the Qu'ran. The next development in carpet chronology is the contribution of Mamluk Egypt (1250-1570). Although there are only a few specimens left of the Mamluk carpet, the oldest dates back to only the 15th century, which leaves a considerable period from which no samples are extant. However, there is some evidence that these carpets became renowned for their quality and rich décor . They were generally characterised by their geometrical designs which included stars, octagons, triangles, rosettes and so on, often arranged around a large central medallion. Once more, we find arabesque and floral motifs being successfully inserted to fill around these shapes giving the design the unity it requires. The Mamluk carpets set a design tradition that continued to be influential in most Egyptian carpets of the 18th and 19th centuries until the present day. Besides the Ottoman (Turkish) carpet, no other carpet reached the status and popularity of the Persian carpet. As mentioned above, the Persians had a long carpet tradition extending back to the Sassanian times. However, the earliest surviving evidence of carpet manufacturing in Muslim Persia were dated to the 15th century mainly through illustrations in miniatures. Carpets were clearly knotted, comprising a rectangular centre dominated by a medallion and a border which sometimes took the form of several bands of various widths  (figure 3). 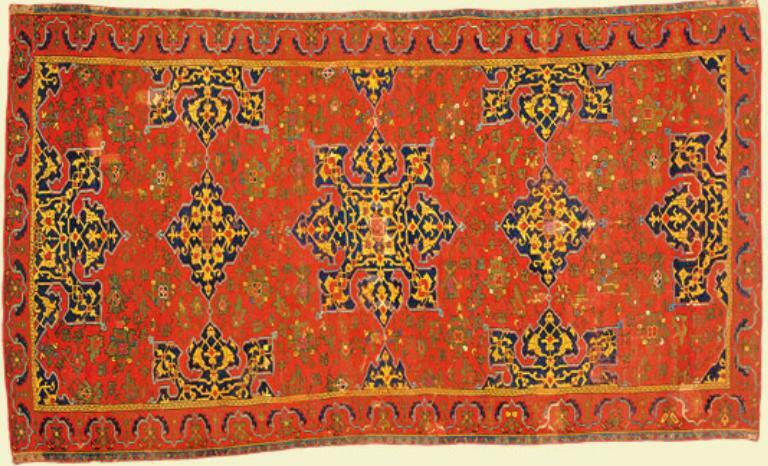 Figure 3: Persian carpet from Azerbaijan, late 19th century with large central medallion bordered with "S" pattern band. The earliest surviving specimen, however, are only dated to 16th century, the period of the reign of the Safavids when the production of carpets became a state enterprise, as these rulers developed trade relations with Europe and carpet exporting was at the centre of this trade . Carpets were also considered as valuable gifts, exchanged during diplomatic missions to Europe. Under Shah Abbas I (1587-1629), in particular, carpet export and the silk trade became the main sources of income and wealth for the Safavid state. The production took on a wholesale dimension as manufacturers were receiving orders from European consumers. Carpet making became a professional art, requiring designers to draw patterns first on paper before translating it into woven designs . Persian craftsmen from Tabriz, Kashan, Isfahan and Kerman produced eye dazzling and mesmeric designs ranging from the medallion centred carpets, mihrab carpets (figure 4) and vase carpets to "personalised" carpets bearing the coat of arms of a number of European rulers. Besides these carpets, the Persians excelled in the execution of carpets depicting human and animal scenes, a new style unparalleled in the Muslim world. By the early 19th century the carpet industry started to decline partly due to historic events and conflicts which lost Persia its stability and security in addition to the decline of carpet export as Europeans established their own manufacturing. In the Turkish (or Ghiordes) knot, the yarn is taken twice around two adjacent warp threads and the ends are drawn out between these two threads. Turkish carpets are prominent in the treatment of plant motifs, using rich colours. Persian carpets use more human and animal figures and often refer to landscape elements, using dominant delicate interplay of red and blue colours. Table 1: Comparison between Turkish and Persian carpets. The above brief is not exhaustive as other parts of the Muslim world such as Andalusia, North Africa, Afghanistan, and India made also their own contributions to the richness and quality of the Muslim carpets. The concentration, however, has been on these regions for their lasting impact on European art. Figure 4: Beautiful mihrab Persian prayer rug from Azerbaijan, late 19th century. How did Europe manage before the arrival of the Muslim carpet? Historic sources indicate that the earliest floor covering in Europe consisted of rushes. Rushes were scattered over the floor and renewed from time to time . This practice continued up to the second half of the 15th century. The evidence is found in the illumination of a manuscript at Lambeth Palace (The Dictes and Sayings of the Philosophers) depicting King Edward IV (1461-83) receiving a copy of it from its translator William Caxton . The King was seated in a room strewn with bright green rushes. Hampton Court is said to have had its rushes changed daily on the orders of Cardinal Wolsey . In a later stage, rushes were woven into mats and widely used in Europe in this form. A miniature in the Book of Hoursin the Chateau at Chantilly entitled Tres riches Heures du Duc de Berri depicts the Duke (1340-1416) seated at a table under which the floor is covered with rush matting . The miniature is dated to early 15th century. Another miniature, found in the Bibliothèque Nationale de France in Paris, shows the Duke of Burgundy, John the Fearless (1371-1419), receiving a book in a room displaying rush-matting floor. Even at times of Queen Elizabeth I, floor rush-matting was still used in England. Evidence from a portrait of William, Earl of Pembroke (d. 1570), shows the persistence of this practice. In fact, rush matting continued till the reign of Charles I (1625-49) . The European fascination with Muslim textile products goes back to the Middle Ages when contacts with the Muslim world, made during the Crusades and trade, resulted in the import of oriental art items, including textiles. Such products were so valued that the Pope Silvester II  was buried in luxurious Persian silk cloth. The reader may appreciate the significance of this if he learnt that Queen Eleanor, the Castilian Bride of King Edward I, brought to England Andalusian carpets as precious items of her dowry in 1255 . However, the earliest recorded English contact with Muslim textiles was in the 12th century when the grandson of William the Conqueror, who lived in the Abbey of Cluny in that century, gave an Islamic carpet to an English church . Figure 5: The painting of Hans Holbein the Younger The Ambassadors (1533). Oil on wood, National Gallery, London. The painting is notable not only because its carpet is the one that gave rise to the term "large-pattern Holbein" , but also for its curious rendering, near its bottom center, of an anamorphic skull, discernible as such only when the painting is viewed at an acute angle. (Source). In France, as expected, Muslim carpets were known much earlier and were particularly popular at the time of Louis IX (1215-70) under the name "tapis Sarrasinois", and in 1277 there were trade privileges for this tapis in Paris . A silk cope from a Mamluk sultan of Egypt was inscribed on it ("the learned Sultan", dating from the 14th century) was found in St. Mary‘s Church at Danzig. This is not surprising as the famous geographer and philosopher Al- Idrisi (ca 1096-1166) revealed that woollen carpets were produced in the 12th century in Chinchilla and Murcia (both now in Spain) and were exported all over the world. In addition to these historical facts, there is another source which provides credible evidence enabling us to evaluate the extent of use and the position of the Muslim carpet in Europe. The study of paintings made in the late medieval period supplied considerable information on how and where these carpets were used and how they were regarded. The earliest occurrences of carpets in European paintings go back to the early 1300s, starting with the painting of the Italian Simone Martini, Nicolo of Buonaccorso, Stefano de Giovanni, or that of Anbrogio Lorenzetti (see above). In addition to the depiction of stylised animals, there was also a Turkish element in these carpets which consisted of using a similar knotting technique . "In Renaissance paintings one can easily notice a considerable increase in the popularity of Muslim carpets, particularly the Turkish and Persian makes. In the fifteenth and sixteenth centuries growing trade relations and increasing prosperity of Europe resulted in more importation of Muslim artistic and luxurious goods as European society (i.e. the educated and wealthy) started to experience a more comfortable life. Large quantities of rugs, ceramics and other items formed an essential part of this trade, as confirmed by Mills: "By 1500 we reach a time when certain Turkish products were being produced and exported to the West in large number, and pieces evidently Portraits of important dignitaries from Italy, France, Germany, Holland and Belgium illustrated the luxurious usage of these carpets. Examples of these are those portrayed in the work of the German Hans Holbein, the Junior (1497-1543). He chose large patterned carpets, centrally decorated with octagons and framed within a pseudo-Kufic inscription. His painting known as French Ambassadors, for example, depicts two wealthy men standing in front of a table topped with an Ottoman carpet [figure 5]. There other instances where Ottoman carpets were present in Christian themes i.e. depicting the Virgin Mary in a setting displaying Ottoman textiles [figures 6 &7]. belonging to the same group are to be found represented by painters both of Italy and Northern Europe ." Portraits of important dignitaries from Italy, France, Germany, Holland and Belgium illustrated the luxurious usage of these carpets. Examples of these are those portrayed in the work of the German Hans Holbein the Junior (1497-1543). He chose large patterned carpets, centrally decorated with octagons and framed within a pseudo-Kufic inscription. His painting known as French Ambassadors, for example, depicts two wealthy men standing in front of a table topped with an Ottoman carpet (figure 5). There other instances where Ottoman carpets were present in Christian themes; i.e. depicting the Virgin Mary in a setting displaying Ottoman textiles (figures 6 & 7). 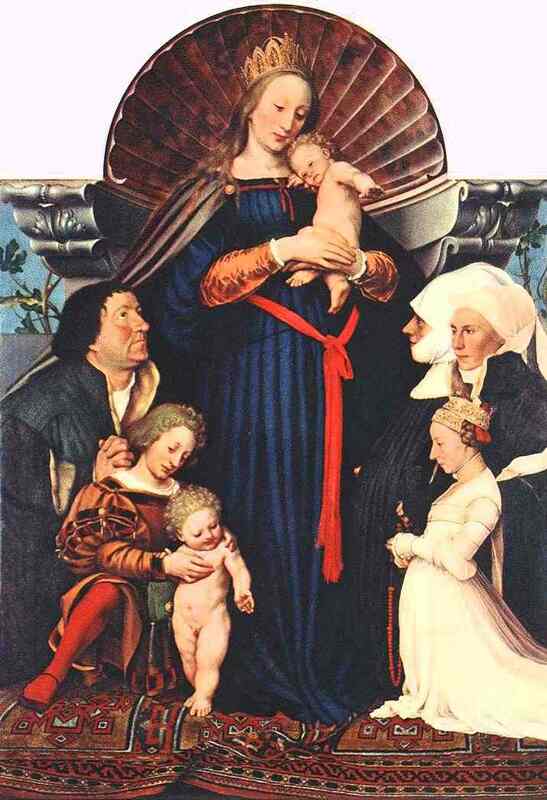 Figure 6: The painting The Virgin and Child with the family of Burgomaster Meyer by Hans Holbein the Younger (1528). Oil on wood, Schloss Museum, Darmstadt, Germany. (Source). In Belgium, similar processes took place as carpets were subjected to similar privileged treatment. Two examples may suffice here including the works of Van Eyck (1390-1441) and Hans Memlinc. These two artists, like Holbein, incorporated the Muslim carpet in their drawings with holy and noble themes. 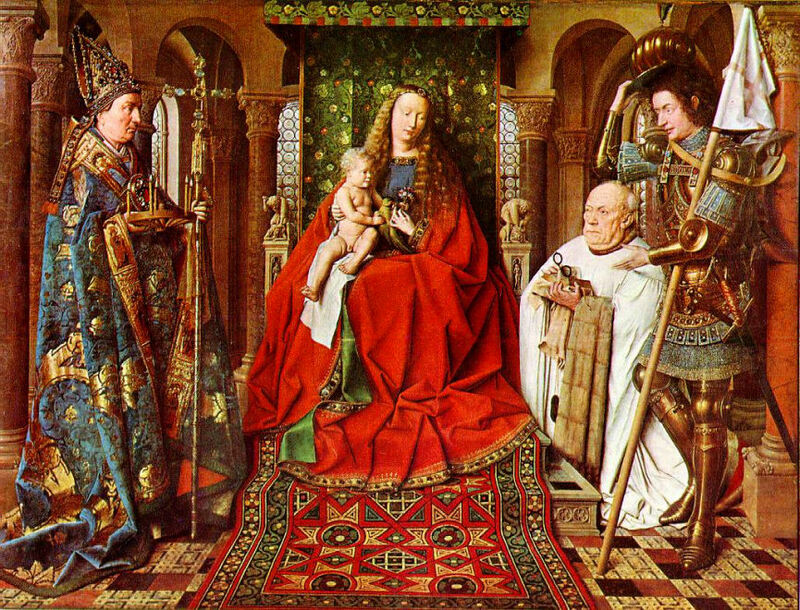 Van Eyck's painting of the Virgin and Child with St. Donatian, St. George and Canon Van der Paele (figure 8), which he painted in 1436 at Bruges, shows Mary seated on a carpet with geometrical shapes, essentially circles drawn around rosettes combined with lozenges and eight pointed star motifs. His fellow artist Hans Memlinc, in his Mystical Marriage of St. Catherine (1479) and The Virgin Enthroned (figure 9), used those Anatolian patterns very closely resembling the carpet of Eşrefoğlu at Beyşehir . In Italy, the earliest evidence of carpets is traced to the end of 12th century, appearing in increasing number of paintings of this period, either below the throne of the Madonna (as in the work of Martini above) on the floor of sacred rites, or hanging from windows of homes on feast days. By the 15th century, carpets gained more popularity as they began to appear in documents showing that they were used as table carpets (tapedi de tavola), and desk carpets (tapedi da desco). These were both tapedi damaschini, Damascus carpets, and tapedi ciaiarini, Cairo carpets, which invaded the trading markets of Venice . Figure 7: Details of the painting The Virgin and Child. Here we have medallions made up of diamonds and squares. The main border is a connected "S" pattern that is more common as a minor or guard border. In other occasions, Muslim carpets formed fashionable diplomatic gifts, especially the stylish Mamluk carpet from Egypt . The portrait of Husband and Wife of Lotto (1480-1556) shows the use of the "S" pattern for inner border combined with a delightful arabesque followed by another wider border made essentially of vine leaves (figures 12 & 13). The painting of the Venetian Cittore Carpaccio St. Ursula Taking Leave of her Father shows the popularity of rugs appearing on the boat and on balcony of the tower. It is said that these carpets (of the painting) were made by Turkish artists living in Venice in the "Fondaco dei Turchi" which provides another light on how the reproduction of the Muslim/Turkish carpet, transformed into the so called "Venetian Carpaccio", took place . In late 15th century, paintings show the "Venetian Carpaccio" hanging from the windows and balconies of houses as well as thrown on table tops and places where they can be more visually seen and appreciated. From this time, the representation of carpets in paintings spread to Spain, Germany and France . The first arrival of this Ottoman/Turkish carpet to England was recorded in 1518 when Cardinal Wolsey ordered seven from Venice and another 60 Damascene carpets were dispatched to him in 1520 . 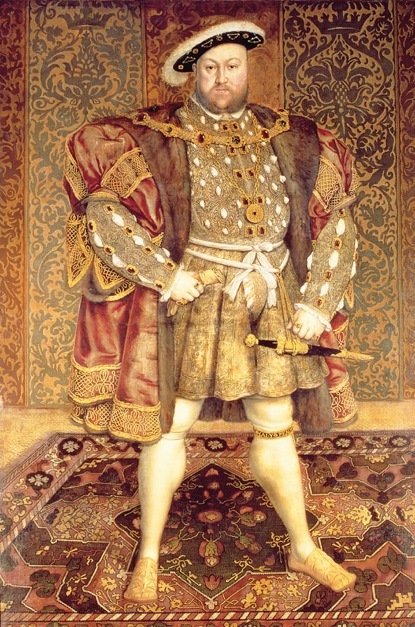 King Henry VIII of England (1509-47) is known to have owned over 400 Muslim carpets . A portrait made for him by Holbein in 1537 shows him standing on a Turkish carpet with its Ushak star  while Arabesque is bordering his garment, and other Muslim interlacing patterns appear on the curtains (figure 10). In another portrait showing the King and Princess Mary (later Queen 1553-8) seated at a table on which a Turkish carpet is spread (figure 11). Records also show that the Earl of Leicester, Robert Dudley, (1532-1588), who lived during the time of Elizabeth I (1558-1603), left a total of 46 Turkish carpets and one Persian . Turkish carpets were also acquired by Hardwick Hall, formerly Bess of Hardwick which was built by Elizabeth of Shrewsbury in the 1590‘s. An inventory of the hall‘s will of 1601 counted 32 carpets . Records also show that the Hall purchased in 1610 two Turkish carpets for the price of £1315  when they were first introduced to England. Carpets were used in display places, such as tab coffers, by households with prestige. Figure 8: The painting The Madonna with Canon van der Paele by Jan van Eyck (Bruges, 1436). (Source). Muslim carpets continued to decorate most of Tudor England‘s tables, chests, and walls. It was not until the Victorian period (18th century) that they were used on floors. There is evidence suggesting that some carpets were made specifically for European customers. The presence of round shaped carpet that could be used for tables and other cross-shaped carpets that were produced in Egypt can only be suggestive of a European destination . In other carpets, the figure of the crucifixion was inserted in floral motifs, while others carried the European coat of arms of which some were sent to King Sigismund III (1566-1632) of Poland. In the 17th century, the carpet fashion took off strongly as records reveal the existence of many types of carpets; foot carpet, table carpet, cupboard carpet and window carpet . Such overwhelming popularity continues till the present day while the import of carpets from Islamic countries continues strong despite the fierce competition with Chinese carpets (table 2). Table 2: Imports of Oriental (Muslim) carpets. Source: E. Wirth, Der Orientteppich und Europa, Erlangen, 1976, p. 337. 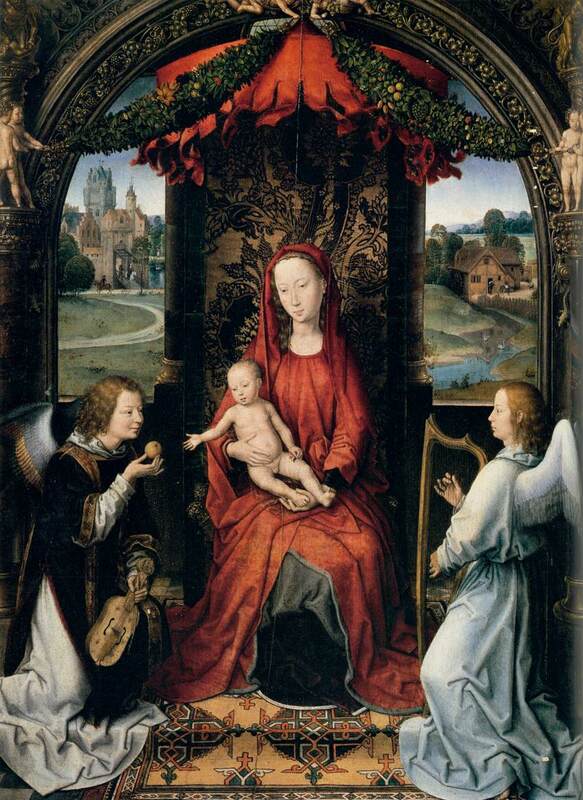 Figure 9: The painting Madonna Enthroned with Child and Two Angels (1490-91 by Hans Memling Flemisch (ca. 1440-1494). Oil on wood, Galleria degli Uffizi, Florence. (Source). Figure 10: Portrait of Henry VIII (ca. 1536–37) by Hans Holbein the Younger shows him standing on a Ushaq carpet. Oil and tempera on oak, Fundación Colección, Thyssen-Bornemisza Museum, Madrid. (Source). According to Sweetman, the earliest carpet made in Europe was that of Verulam carpet which was produced in 1570 at Gorhambury. Other three carpets were in the collection of Duke of Buccleuch at Boughton bearing the dates of 1584 and 1585. There are other suggestions which point to the existence of other copies made in Britain. 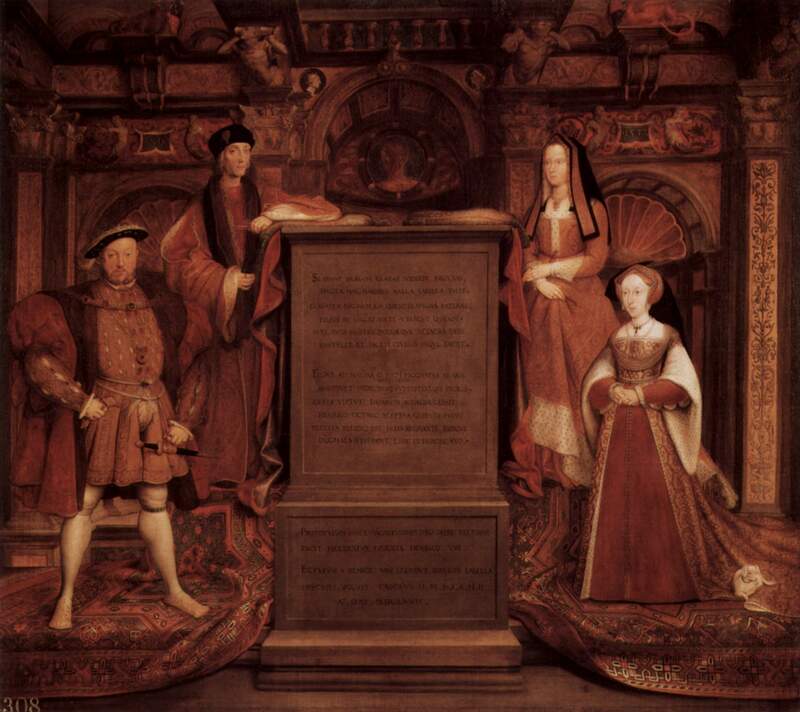 Figure 11: Copy by Remigius van Leemput of Holbein's mural of Henry VIII, Jane Seymour, Henry VII, and Elizabeth of York (1536-37), destroyed in Whitehall Palace fire in 1698. (Source). Between the 16th and the 17th centuries, smaller objects such as chair covers, cushion covers and the like, some of which can be found in Norwich Cathedral, were reproduced in similar knotting patterns as those of the Turkish carpets . In the 17th century, small panels to cover cushions upholstery were produced using Turkish techniques. An oak chair dated in 1649 and covered with such panels is to be found in Victoria and Albert Museum. By the 18th century, the carpet industry was established in Britain. A certain French man with the name Pavisot made carpets, imitating the Savonnerie carpets, at Paddington moving to Fulham by the middle of the 18th century. However most of his production was destined to fulfil orders for furniture covers . Later, in 1751, the Royal Society of Arts promoted the establishment of successful carpet manufacturing "On the Principle of Turkey Carpets" through subsidies and awards. For example, between 1757 and 1759, the Society spent £150 as awards for the best Turkish "imitated" carpets. The manufacturers benefiting from these awards were Thomas Moore in Chisewell Street, Moorfield, Thomas Whitty at Axminster, Passavant at Exeter, and William Jesser of Frome . In France, a similar approach was followed. In 1604, King Henry IV promoted a certain Monsieur Fortier and made him "tapissier ordinaire de sa Majeste en Tapiz de Turquie et facon de Levant", to make copies of Turkish and Eastern carpets. A year later, in 1605, a company (the "Savonnerie") was set up by Pierre du Pont to do this copying. Later, in 1750 the company expanded into England, two Frenchmen from Savonnerieat Chaillot moved to London and set up a carpet factory first in Westminster and later expanded into Paddington and Fulham , as outlined above. 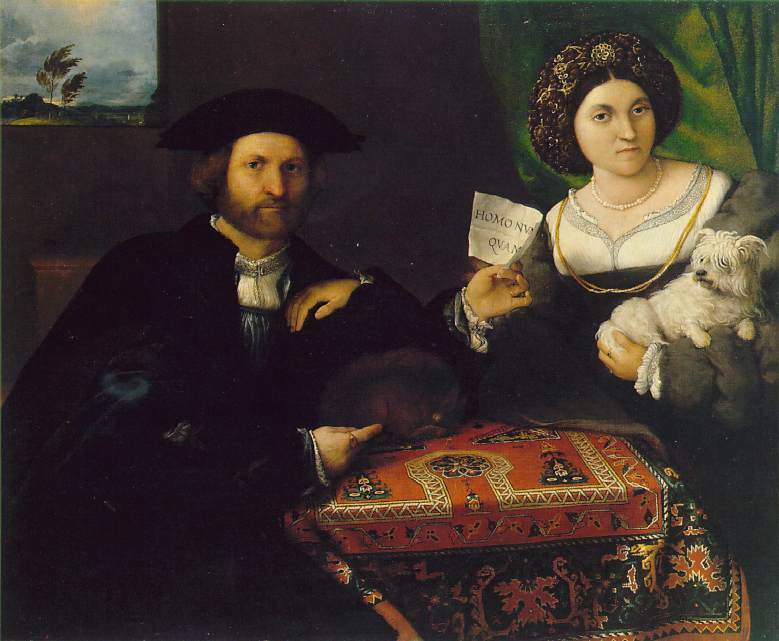 Figure 12: Husband and Wife by Lorenzo Lotto (ca. 1543). Oil on canvas, Hermitage Museum, St Petersburg. (Source). Figure 13: Close up of carpet in Husband and Wife. Details of the octagonal design on the tapestry. Other countries followed suit. In 1634, Polish companies were set up in Brody by a certain Hetman Stanislaw Koniecpolski to produce Turkish and eastern styled carpets . Carpets were first reserved for holy rituals as seen in the paintings which incorporated them in the depiction of the Virgin, Jesus, the saints and other holy scenes. This took place between the 14th and 15th centuries. In the late 15th century the carpet reached the landed gentry becoming a status symbol to be displayed from such as windows and balconies (as seen in the "Venetian Capaccio"). In the 17th century, carpets were a popular decorative item covering tables, as seen in the Dutch paintings. This period also saw the appearance of the foot carpet, table carpet, cupboard and window carpets. The 18th century marked the start of the carpet manufacturing. The last two centuries have seen a wider spread of carpet spreading reaching most houses and offices of the Western world. This contribution shows the humane dimension of Islamic civilisation in catering for the comfort and well being of people through the development and spread of carpets. An insignificant item maybe, if compared to those higher intellectual achievements such as science, literature, poetry and the contribution. Ettinghausen, R. (1974), "The Impact of Muslim Decorative Arts and Painting on the Arts of Europe", in The Legacy of Islam, edited by Joseph Schacht and Carles E. Bosworth, 2nd Edition, The Clarendon Press, Oxford, pp. 292-317. Gans-Ruedin, E. (1975), Antique Oriental Carpets from the Seventeenth to the Early Twentieth Century, translated from Le tapis de l'Amateur by Richard and Elizabeth Bartlett, Thames and Hudson, London. Hattstein, M. & Delius, P. eds (2000), Islam: Art and Architecture, Konemann, Köln. Hunke, S.(1969), Shams Al-'arab tasta' 'ala al-Gharb, The Trading Office for Printing Distributing & Publishing, Beirut, 2nd edition. Mills, J. (1975), Carpets in Pictures, Publications Department, National Gallery, London. Rice, D.T. (1975), Islamic Art, Thames and Hudson, Norwich. Spuhler, F. (1978), Islamic Carpets and Textiles in the Keir Collection, Faber and Faber, London. Victoria and Albert Museum (1920), Guide to the Collection of Carpets, HMSO, London. Wirth, E. (1976), Der Orientteppich und Europa, Heft 37, Gedruckt inder universitatsbuchdruckere Junge & Sohn, Erlangen. Gans-Ruedin, E. (1975), Antique Oriental Carpets from the Seventeenth to the Early Twentieth Century, translated from Le tapis de l'Amateur by Richard and Elizabeth Bartlett, Thames and Hudson, London, p. 10. Spuhler, F. (1978), Islamic Carpets and Textiles in the Keir Collection, Faber and Faber, London, p. 27. Rice, D.T. (1975), Islamic Art, Thames and Hudson, Norwich, p. 139. For more details, see FSTC, Architecture Under Seljuk Patronage (1038-1327) on www.MuslimHeritage.com (article published 13 April 2003). Ettinghausen, R. (1974), "The Impact of Muslim Decorative Arts and Painting on the Arts of Europe", in The Legacy of Islam, edited by J. Schacht and C. E. Bosworth, The Clarendon Press, Oxford, 2nd edition, p. 300. Ibn Battuta, Travels in Asia and Africa (1325-1354), translated and selected by H. A. R. Gibb, edited by Sir E. Denison Ross and Eileen Power, Robert M. McBride & Company, New York, p. 126. Sterstevens, A. (1955), Le Livre de Marco Polo, Albin Michel, Paris, p. 73. Which contains a floor carpet with octagons depicting eagles, now at the National Gallery of London. Mills, J. (1975), Carpets in Pictures, Publications Department, National Gallery, London, pp. 4-5. Hans Holbein the Elder (1460–1524) father of Hans the Younger, and Hans Holbein the Younger (c. 1497–1543), better known of the two, court artist to King Henry VIII of England. See the entries on Hans Holbein in Wikipedia (retrieved 24.04.2010). Spuhler, F. (1978), Islamic Carpets and Textiles in the Keir Collection, op. cit., p. 47. Gans-Ruedin, E. (1975), "Antique Oriental Carpets from the Seventeenth to the Early Twentieth Century", op. cit., p. 21. Elke Niewohner (2000), "Iran: Safavid and Qajars. Decorative Arts", in Islam: Art and Architecture, edited by M.Hattstein & P. Delius, Konemann, Köln, pp. 520-529. Blair, S., & Bloom, J. (2000), "Islamic Carpets", Islam: Art and Architecture, edited by M.Hattstein & P. Delius, Konemann, Köln, Konemann, pp. 530-533. Scott, S.P. (1904), History of the Moorish Empire, The Hippincot Company, Philadelphia, vol. 2. The book was translated from French Les ditz moraulx des philosophes by Guillaume de Tignoville. Apparently it was the first book to be published in England in 1477. Victoria and Albert Museum (1920), Guide to the Collection of Carpets, HMSO, London, p. 59. Cheyney, E.P. (1908), Readings in English History, Ginn and Company, New York, pp. 316-317. Victoria and Albert Museum, op. cit., p. 59. Reigned 999-1003, also called Gerbert. Born at or near Aurillac, Auvergne, France, about 940-950, of humble parents; he died at Rome 12 May, 1003. Gerbert entered the service of the Church and received his first training in the Monastery of Aurillac. He was then taken by a Spanish count to Spain, where he studied at Barcelona and also under Arabian teachers at Cordova and Seville, giving much attention to mathematics and the natural sciences. Boase, T.S.R. (1953), English Art 1100-1216, p. 170. Mills, J. (1975), op.cit., pp. 4-5. Gans-Ruedin, E. (1975), op. cit., p. 20. Victoria and Albert Museum (1920), op. cit. Erdmann, K. (1962), Europa und der Orinetteppich, Mainz-Berlin, pp. 11-17. Mills, J. (1975), op.cit., p. 17. Victoria and Albert Museum (1920), op. cit., p. 3. Beattie, M. (1964), "Britain and the Oriental Carpet", in LAC 55, and Mills, J. (1983), "The Coming of the Carpet to the West", in ARTS cat., the Eastern Carpet in the Western World. King, D. (1983), "The Inventories of the Carpets of King Henry 8", in Hali 5, pp.287-296. The Ushak star consists of eight point indented star motif alternating with lozenge shapes. Ettinghausen, (1974) , op. cit., p. 301. Beattie, M.H. (1959), "Antique Rugs at Hardwick Hall", in Oriental Art, vol. 5, pp. 52-61. Ettinghausen 1974, op. cit., p. 301. Ettinghausen (1974) op. cit., p. 301. Victoria and Albert Museum, op. cit., p. 9. Sweetman, 1987, op. cit., p. 16. Quoted in Victoria and Albert Museum, op. cit., p. 62. Victoria and Albert Museum, op. cit., p. 63. Sweetman 1987, op. cit., note 39, p. 274. Also see Victoria and Albert Museum, op. cit., p. 64. Ibid, note 39, p. 40. Ettinghausen (1974), op. cit., p. 302. * Dr Rabah Saoud, BA, MPhil, PhD, wrote this article for www.MuslimHeritage.com when he was a researcher at FSTC in Manchester. He is now an Assistant Professor at the University of Ajman, Ajman, UAE. Imitation of the Muslim carpet in Europe.